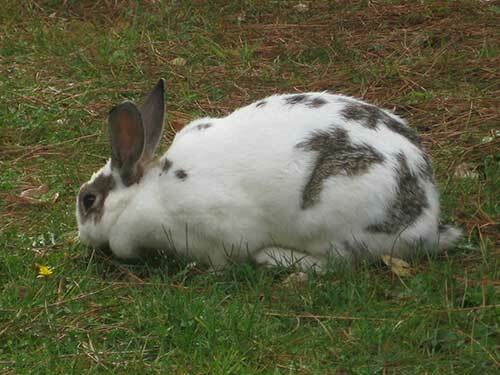 Description: Originally native to Europe, the domestic rabbit has been bred all over the world and vary widely in their size and coloration. In the wild they are gray with black, brown, or rufous patches. They weigh 1.5-2.5kg (3-5lbs) in the wild, and domestics can vary from 0.9-9kg (2-20 lbs). Males tend to be larger than females. Diet: Herbivores, domestic rabbit feed primarily on grasses when available, but also fungi, bark, twigs, leaves, and even snails and worms. As their digestive system does not efficiently extract nutrients, they consume some of their droppings for a second digestion of the same materials. 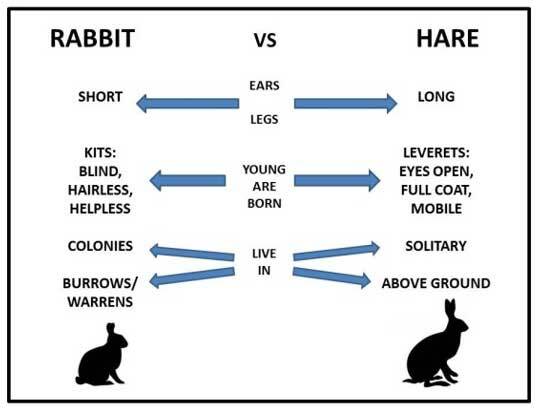 Life Cycle: Living in large communal warrens (burrows), rabbits tend to mate between February and September. A litter of 4-8 kits are born after a gestation period of 28-34 days. Within 3 weeks the young may leave the nest, by 6 weeks they are weaned, and by 6 months they are sexually mature. Captive life span is 6-8 years, but much shorter in the wild due to predation. Habitat: Prefer dry, grassy, areas with some forest for protection. They require soil amenable to burrowing. Did you know?Historically bred for food, domestic rabbits have escaped and have sometimes been intentionally released, creating serious threats as an invasive species to local ecosystems in several countries around the world.